Carpentry and joinery hand planes made out of mainly metal. A small light plane used for dressing off and finishing. The longest of the metal hand planes used for straightening timber. The all purpose Carpentry and Joinery metal plane. Between the try plane and the smoothing plane in size. 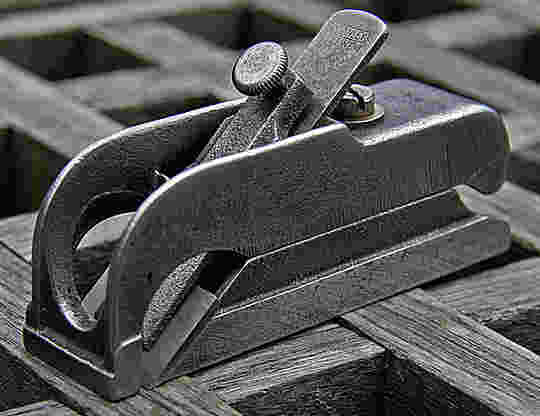 A smaller type metal rebate plane with the blade fixed right at the front. Used for cleaning out rebates up to a corner. 1. Cutter, or bit, or blade, or plane-iron. 2. Cap, or plane-iron cap, or curling iron. 3. Cutter screw, or plane-iron Screw. 4. Clamp, or lever cap, or wedge.5. Clamp screw, or cap screw. 8. Brass set screw, or brass adjusting nut. 9. Lever (for lateral adjustment). 13. Handle bolt and nut. 14. Knob screw, or Knob bolt and nut. 15. Handle screw.16. Bottom, or sole. 20. Thumb piece, or clamp lever, or cam. The smoother, try and jack planes are all the same basic layout, they share the same components (when from the same manufacturer) only the length of the body casting changes in my experience. Note that I use the term casting for the body. It is cast iron and if dropped it can break. Planes that have broken or have a crack at the mouth can not be fixed by electric stick welding. The way to do it is by gas welding. That is brazing. Sometimes it works perfectly, sometimes not at all. 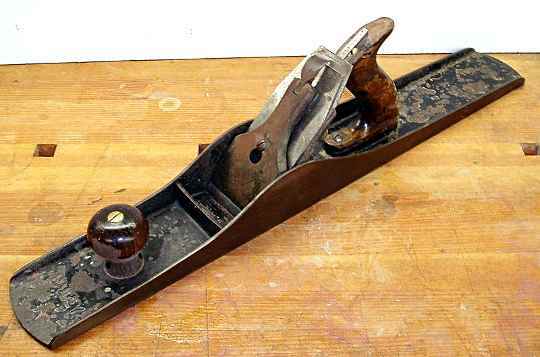 If you can pick up an early Stanley - Bailey plane that looks like this then grab it. Around about 1930 Stanley's world wide patents expired and allowed manufacturers like the British Record company to more or less make the same planes. Much copied but in my opinion never equalled. The Stanley similar to the one above is very similar to the old No.4 with a 2" wide blade. I owned a couple of No.4 1/2 which had a blade width of 2 3/8". A workhorse for many thousands of woodworkers for the last few generations. Another plane on the same theme. These were also based on the Stanley / Bailey design. Lee Valley created the specifications and Footprint of England manufactured the planes. 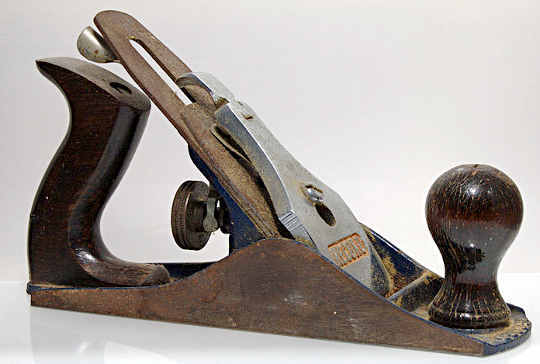 The pattern of jointer and jack planes like the one above all seem to derive from the original Bailey design that originated in the mid 19th. century. When you are onto a good thing why change. It is a credit to that design that with all our modern materials and our penchant for new and better innovations that the basic steel woodworking plane has remained unchanged for 150 years. The thing that has changed is the quality... it has well and truely gone down in most of the modern hand planes on the market today. Still I guess there is no real drive for change as hand tools of all sorts are being superseded by power tools. The rebate plane above is rarely used to actually make rebates, at least mine wasn't, but it is used much as a smoothing plane is to clean up and remove machine marks on rebates that are seen. If you want to make rebates from scratch then there are others out there that have width and depth guides to do the job accurately. The Bullnose Plane is used for tidying up rebates right into the corners where the standard rebate plane can not reach. As a builder or general contractor I have always tended to treat tools as a means to an end. I don't show them as much respect as I maybe should do. To me getting the job done and moving on to the next job was the point so good trade quality tools like the Stanley above were suitable. There is no way that I would take this Lie-Nielsen smoother on a construction site. 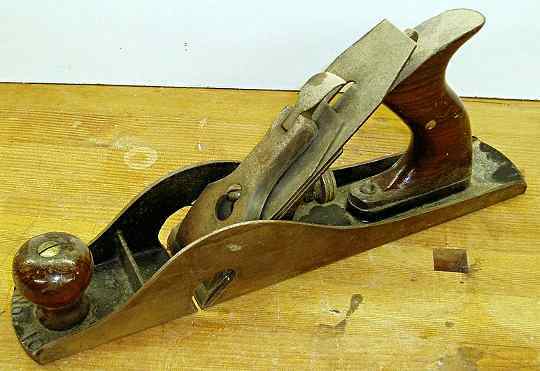 However if I was setting up a permanent workshop again I would buy two or three Stanley plane. Maybe older ones if they came up on eBay. Then I would search the web and try to get an original Norris Smoother. 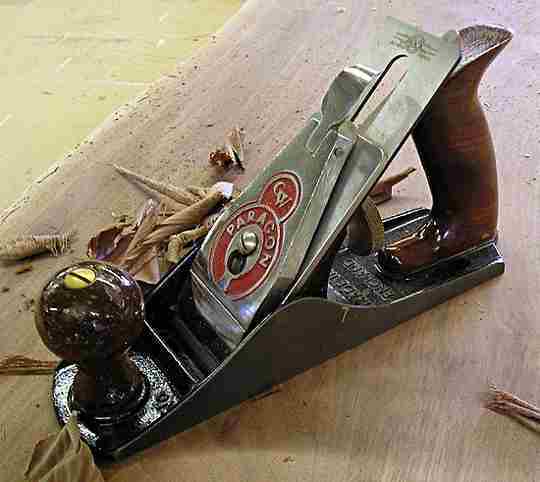 This is a steel bodied plane with rosewood infills, with a really solid plane iron and cap iron. I'd have to wait, hence the Stanley. A Norris smoother is without doubt the best plane that I have ever used. When I served my time one of the old joiners that I worked with, Wally Wood had one, and on rare occasions I was allowed to use it when I had to dress off some really gnarly timber. An absolutely magic tool. (I did allright with the old guys because their eyesight was going, so I used to sharpen their saws from time to time to keep well in with them).